JM Fitness is a responsive Joomla 3 Template suitable for personal trainers, gym or fitness clubs website. 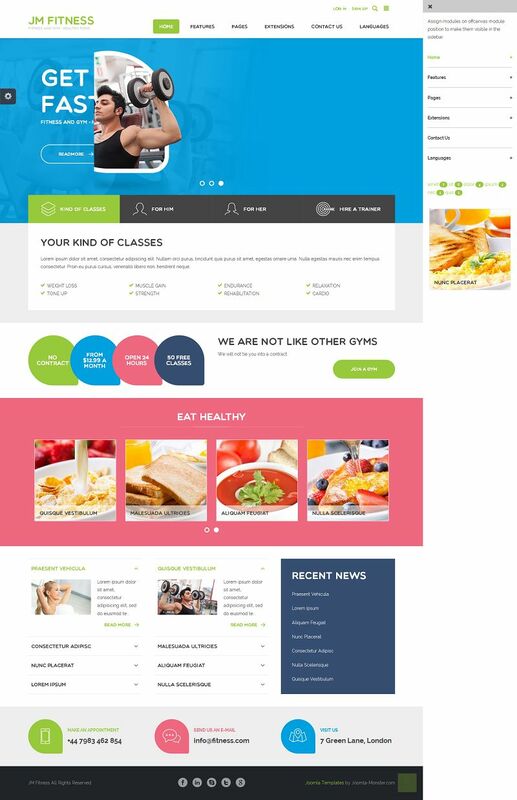 This template helps you to create your own gym site and add healthy diet tips for your customers easily. It includes a Theme Customizer that helps you to modify template colors and many other features with simple clicks. DJ-Tabs module displays single article, articles category, modules or videos in accordion or tabs style. DJ-MediaTools allows you to create video or images gallery in many different views.